Whatever name you know it by, Windows Live Messenger, or its former name, MSN Messenger, you should know it’s closing up shop on October 31st of this year. If you remember back about 15 years ago, it was MSN Messenger and AOL Instant Messenger (AIM) that always seemed to be competing to be everyone’s favorite instant messaging service. 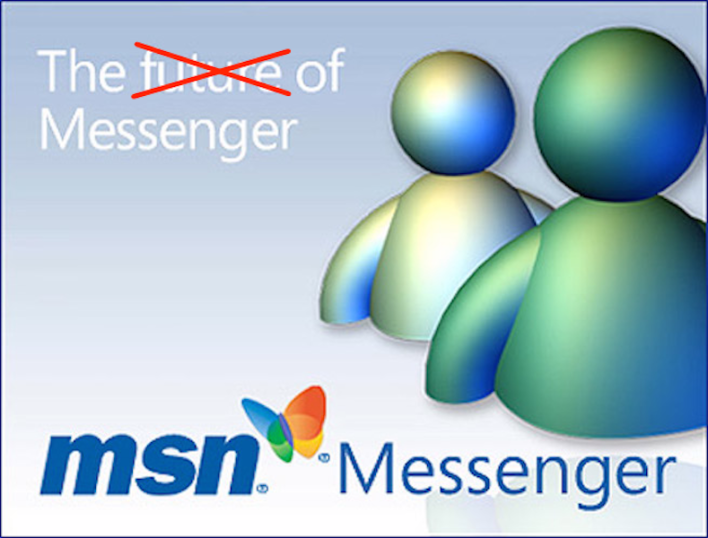 While I never personally used MSN Messenger, the service did have some pretty neat features at the time, such as its ability to let users play Minesweeper together, the option to “nudge” your friends when you thought they were ignoring your IM, and who could forget the emoticons? 15 years ago, instant messaging was the thing to do. Now? Now I think text messaging has taken over that method of communicating with one another. Last year, they tried to move users to Skype, but Windows Live Messenger kept going strong in China. But alas, all good things must come to an end it seems, as even Chinese users will have to move on to Skype after October 31st. I don’t know about you, but it almost feels like a small part of my childhood is dying somewhere. What do you think? Let us know your thoughts regarding this story in the comments section below. How to make Strong Passwords! Amazing New Apple Watch ! Gear VR By Samsung's closer look! What type of information is on the Darknet? The Darknet: How do I access it?